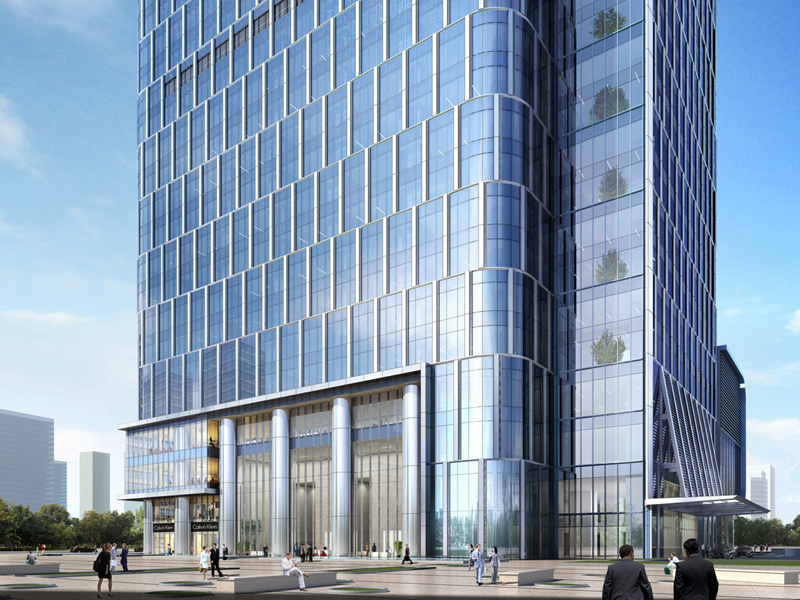 Given its central location and commanding form, the R&F Guangdong Building will represent one of several crown jewels in the skyline of Tianjin’s fast-growing central business district. 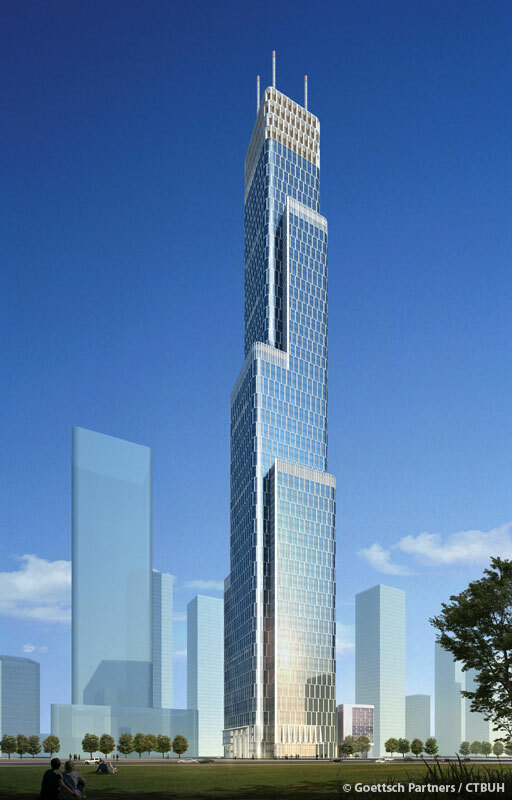 The tower is designed to establish a signature visual profile in the skyline and provide a unique destination for the people of Tianjin and beyond. Planned as a mixed-use high-rise, the building’s design responds to the programmatic needs of each function. Yet the design is not just a practical conception, it is also responsive to the spatial realities of the site’s location in the Tanggu district. The tower unwraps around its vertical axis as it ascends, similar in nature to an ancient scroll, with a progressively diminishing volume. This unwinding form creates unique opportunities to introduce multi-story atria into the program of each vertical zone. These landscaped interior spaces provide ideal circulation for multi-floor tenants, natural light for deeper spans, and inviting social meeting spaces within the building’s upper floors. 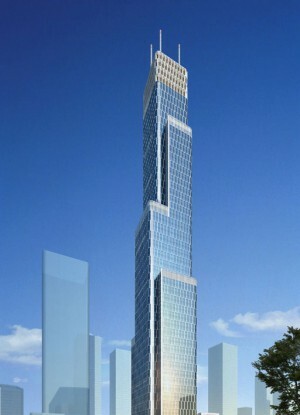 The outer shell of the building is to be fitted with high-performance glass and metal, with floor-to-ceiling windows. Providing intuitive interior and exterior circulation was a high priority for the project. At the base, the site divides vehicular circulation by function, allowing each user to access the tower conveniently from the main roads. A landscaped network of pedestrian pathways connects to a vegetated plaza on the north side of the building, creating a responsive arrival space for the main entrance. Green space is also extended vertically along the exterior, with a green roof topping each of the tower’s setbacks. The overall reduction of impermeable surfaces throughout the complex will allow rainwater to be utilized onsite rather than being directed into the city’s stormwater management system.